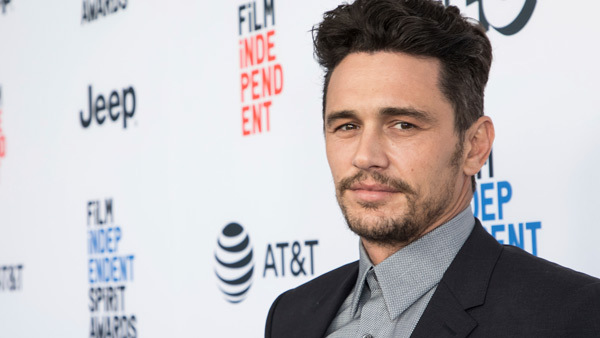 NEW YORK -- The New York Times has canceled a public event with James Franco days after the Golden Globe winner was accused of sexual misconduct. The TimesTalk event scheduled for Wednesday was intended to feature "The Disaster Artist" director and star and his brother and co-star, Dave Franco, discussing the film with a Times reporter. Actress Violet Paley and filmmaker Sarah Tither-Kaplan have recently accused Franco on Twitter of earlier instances of sexual misconduct. Franco was in attendance at Tuesday's National Board of Review Awards gala in New York City to present his film's adapted screenplay award. He did not comment on the allegations. An email seeking comment from his publicist was not immediately returned. Later during an appearance on CBS' "The Late Show," host Stephen Colbert questioned Franco about the allegations. Franco said that the things he's heard about on Twitter are not accurate but he supports people coming out and having a voice. When asked by Colbert about how to come to some sense of the truth so that there can be a possible reconciliation between the people who have different views, Franco said that if he's done something wrong he will fix it. "I'm here to listen and learn and change my perspective where it's off, and I'm completely willing and want to," he said.